Thank you to everyone who donated to #GivingTuesday. We will continue to push to break barriers to entry! In 2004, the MCCA established the Lloyd M. Johnson, Jr. Scholarship Program (“LMJ Scholarship”). The LMJ Scholarship is a diversity pipeline program that seeks to nurture the academic and professional careers of outstanding law students. The LMJ Scholarship grants scholarships of $10,000 to students for their first year of law school. 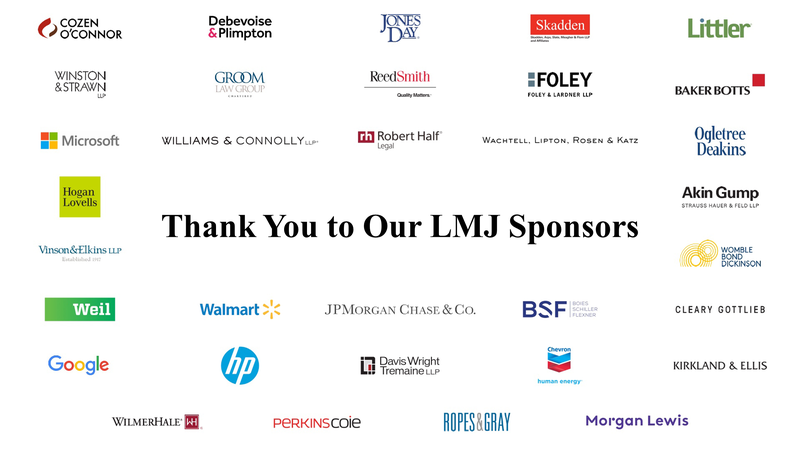 In addition to financial support, LMJ scholars are connected with peers, alumni, and mentors, who are available to provide professional support, such as guidance on addressing academic or personal obstacles that arise over the course of their legal career. Since its inception, the LMJ Scholarship has awarded over $3.5 million in scholarships to over 200 students, of which 40% identify as men and 60% identify as women. It’s partners like you that make this program possible. Whether you’re just starting your legal career or have risen to the top ranks of your company, whether you came to this country as a small child or your ancestors have been here for thousands of years, we are all here in service of a common goal: to create a corporate America that actually looks like America. Together we can put forward a positive, galvanizing vision and provide a path for these students. Together we can break down barriers to entry that prevent diverse candidates from succeeding in corporate America and provide scholarship and professional development opportunities that ensure their success. Together we can advance diversity, inclusion and equity in the legal profession. The video below highlights the journeys of three LMJ Scholars: Destiny Dike, Felipe Hernandez, and Keli Huang. Learn how your donations have impacted their lives and their career trajectory.